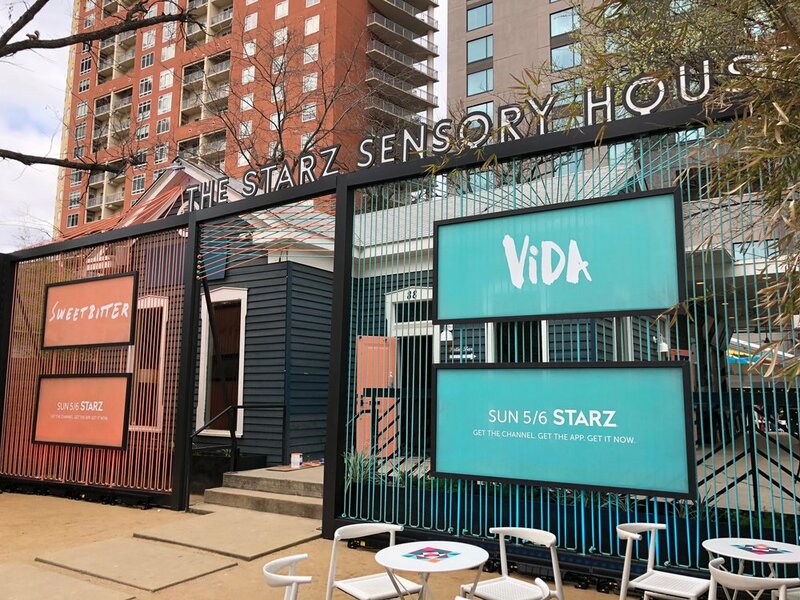 MadeFirst worked with Civic to build and install the Starz Sensory House used to advertise their two newest shows "Sweetbitter" and "Vida." There were several rooms created beyond the outside facade's framing, panels and signage. There was a backyard with several walls, DJ table surrounds and the heart cut-out, yellow flower wall. In the Scent Room, we create birch shelving and the lower storage cabinets all with branding. In the Taste Room, we created the 8 foot bar with shelving, floating shelves and the 5 foot "Sweetbitter" sign. In the Swag Room, we created the shelving unit for the shirts and the pink "Vida" sign. 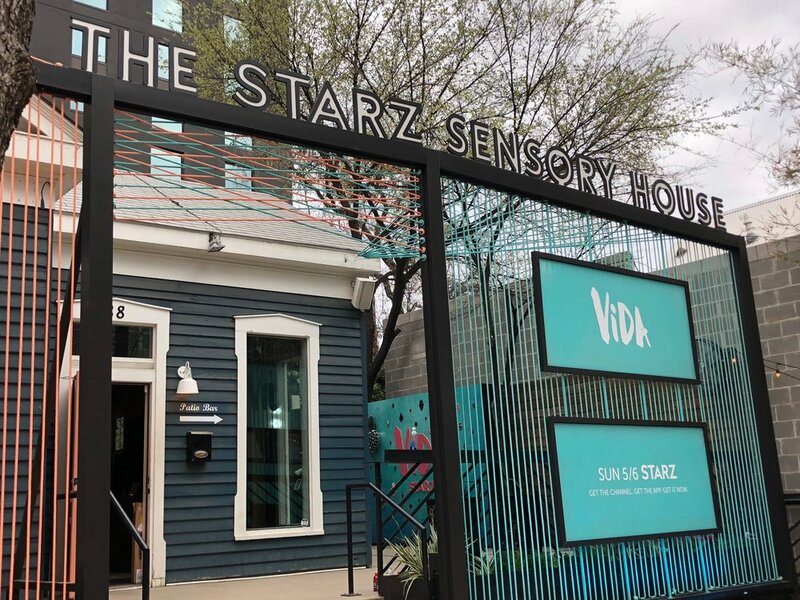 Finally, we provided the lighting for the exterior, painted all doors and the wall vinyl pieces. This was a very large and involved project that we were thrilled to be a part of.